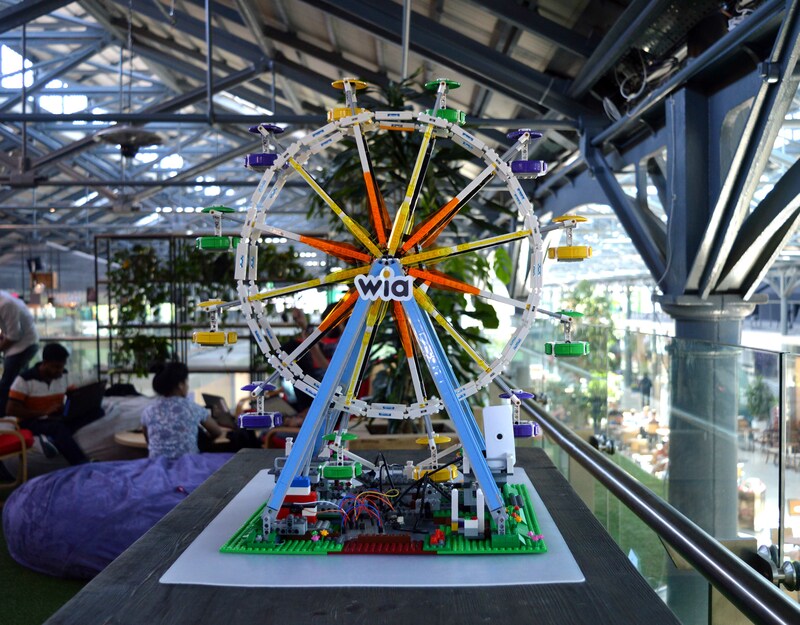 At Coolest Projects 2018, we showcased the Wia platform with a facial recognition ferris wheel - if you're smiling, the wheel turns, and if you're not smiling, it stops. Today we're going to talk about how we built this project, and maybe you'll be inspired to build something like it! 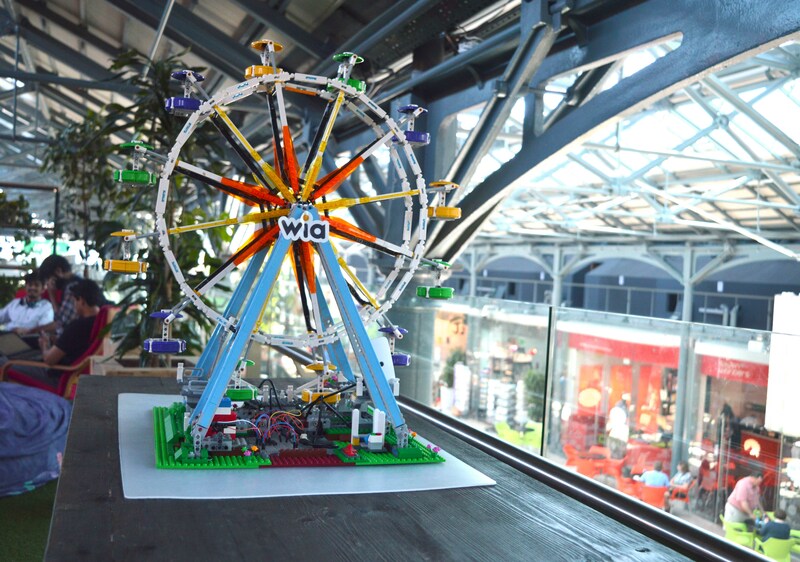 For the Ferris wheel itself, we decided to go with this Lego kit. It took about 7 hours or so to complete. This kit has an optional add-on motor, but we decided to create our own solution. We used a high torque DC motor to turn the wheel, and the L293D motor driver to drive the motor. Click here to read in depth about how we set this up, along with a basic code snippet for making the motor turn. We'll build upon this code later in this article, when we add in MQTT functionality to listen for Commands. The next step was to hook up the DC motor to the Ferris wheel mechanism and make it turn. This proved to be quite challenging, and required some dismantling of the lower part of the structure to make space for the components. 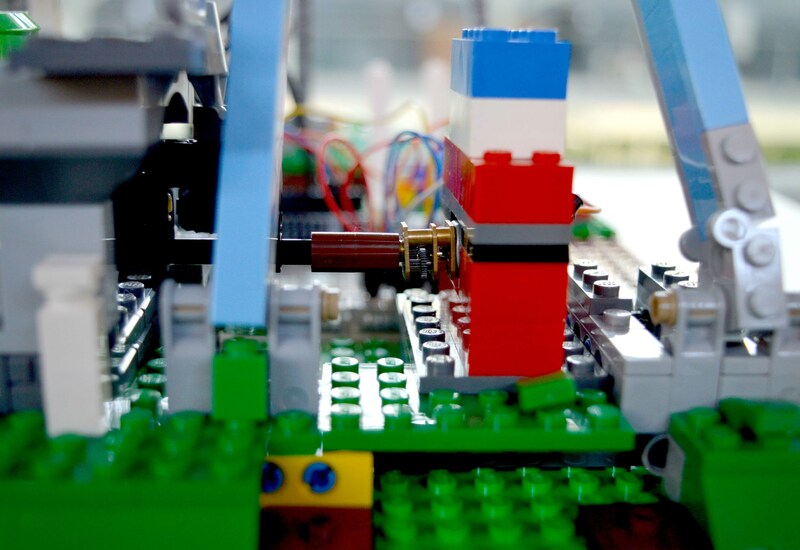 We found that the motor's shaft fit almost perfectly into one of the Lego pieces, all we had to do was mount the motor in the correct place and make sure it wouldn't move around. So, we built a little Lego enclosure for the motor out of spare pieces, leaving space at the back for connecting the wires to the motor's terminals. 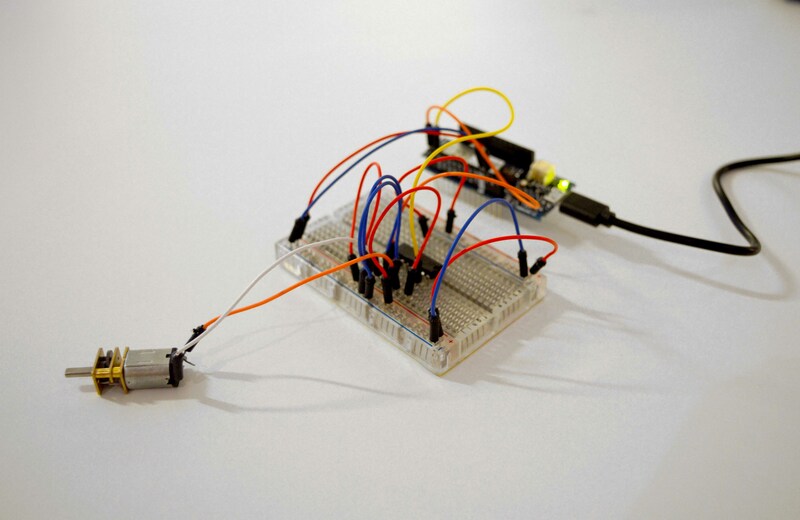 Next, we wanted to create some Commands for the Arduino to listen for, and rotate the motor accordingly. 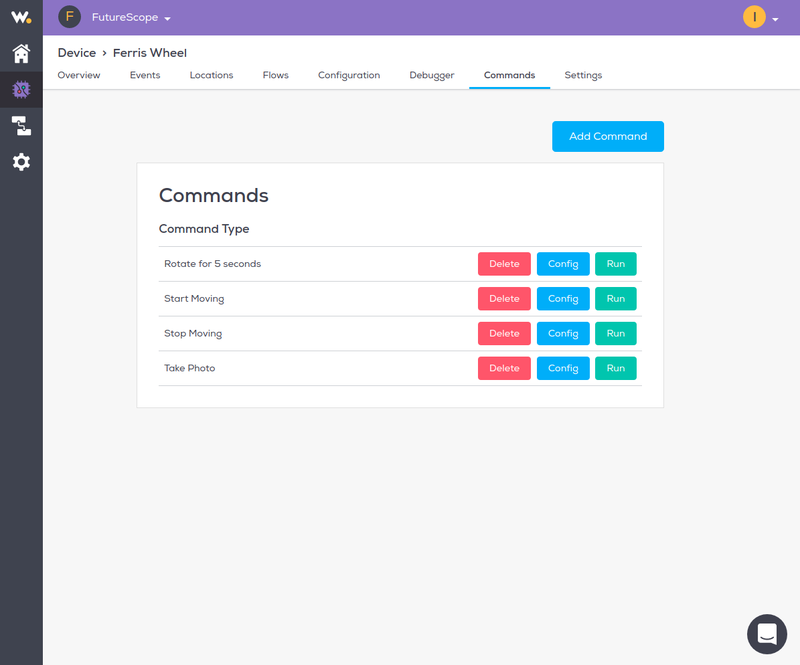 The first step was to create the Commands in the Wia dashboard. As you can see, we created some basic Commands for manually controlling the wheel, as well as a 'take photo' Command, which we'll get to later. After uploading that code to the Arduino, we could then simply click 'Run' on the Commands in the Wia dashboard, and the Ferris wheel would turn accordingly. For the facial recognition camera, we used a Raspberry Pi Zero W with a Raspberry Pi camera module. Read in depth about how we set this up here. 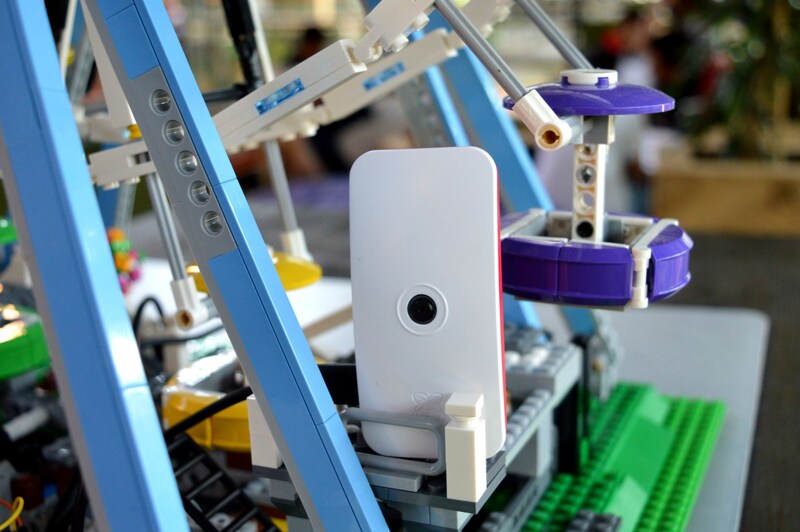 This covers setting up the Raspberry Pi with the camera module, using NodeJS to take a photo and post it as an Event to the Wia platform, and setting up a basic Flow to check if the subject of the photo is smiling or not. 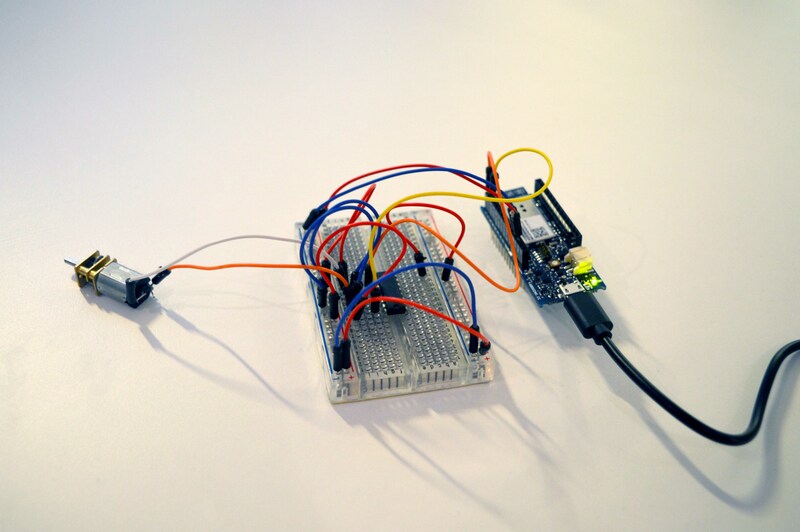 Our next step was to make the Raspberry Pi and Arduino work together over Wia, by creating a Flow. 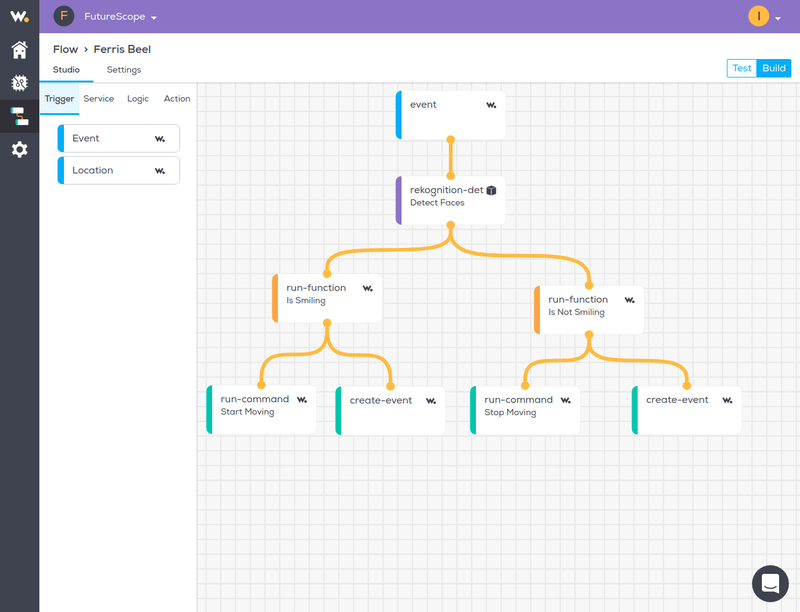 In the Wia dashboard, we created a new Flow. The trigger is the photo Event created when the 'take photo' Command is run. This then goes through a 'Detect Faces' node, the output of which branches off into two logic nodes - one to output a string 'Smiling' if the subject is smiling, and one to output a string 'Not smiling' if the subject isn't smiling. If the subject is smiling, the 'start moving' Command is run, triggering the Arduino to start turning the motor. If the subject isn't smiling, the 'stop moving' Command is run, stopping the motor from turning. You'll notice that we also have 'create event' nodes at the end of the Flow. This is where we use the output.body.data values from the logic nodes - to create Widgets! Each time a photo is taken, a new Event is created with the data equal to either 'Smiling' or 'Not smiling'. Over on the Device overview page of the dashboard, we were able to create a text Widget that would display this text and auto-update every time a new photo is taken. We also set up handy widgets for running the various Commands, as well as displaying the photo taken by the Raspberry Pi!